I get many Instagram DMs and I love reading and answering all of them because communication with pole dancers is so genuine. But DM from Nyna Angélina was a bit different… I had the privilege of being interviewed for a French pole dance blog called “In my pole bag”. She spotted Boomkats pole dance clothes on social media and she really took the effort of finding out who Boomkats really is. So this is a transcription of our chat. I wanted to share this with you because Nyna really asked some very interesting questions and I hope that answers to those questions will reveal some interesting facts and that you will get the chance to know us better. When I think of the brand Boomkats, that’s what I think: “Joie de vivre”! With its colorful patterns, cute prints, pretty and radiant, this brand of pole wear stands out from other existing! Little cats, heart, pastel color, bright gold, you will see all the prints you can imagine here at Boomkats! We would really like to know who you are and what connection you have with the world of pole dance? First of all, thank you so much for inviting me to this chat so we can get to know each other better. It’s so nice and exciting to know fellow pole dancers! And I can say this everytime I meet a new one! When was your brand launched and why? So I started pole dancing about 6 years ago. Back then there wasn’t a lot of pole wear brands and all the girls were mainly wearing some knickers and a tank top that we rolled up when practicing. And only after a few years of pole dancing or reaching a certain advanced level we started thinking about buying some real pole dance clothes. You know, when you feel comfortable enough with your own body and you think of buying yourself a real pole wear as some kind of a reward? So when I started to look around for pole apparel there were pole clothes mostly in black!! We all know that black is very elegant, very practical and that it has a slimming effect. But come on!… is black really something I have to put after all this training? Are you kidding? I don’t want to hide myself in black! Not now when I can show some really awesome pole moves that I’ve learned!! Plus, I had always had trouble finding a top that would fit me well. My cup is totally unproportional (read: big) compared to my chest size (read: small). So practically no top would suit me well enough to feel confident and attractive. So when you put two and two together there was an obvious solution. I started thinking about my own brand at the beginning of March 2016, and in November of the same year, I launched the brand and its website. Of course, there were many issues to resolve, including the brand’s name. It was Marlo Fisken (I was doing an interview with her at that time) who suggested changing the brand’s first name as not to be “so sugary”. And for that, I’ll always be grateful to her. So, we changed the name and Boomkats started its journey in January 2017. I’m a very visual type of person (of course, that makes sense as I am a graphic designer), so anything I see anywhere makes my heart jump. But what really inspires me, is all these awesome girls practicing pole dance, pushing their bodies to the limit and making incredible pole moves! I follow many of them and I can see the progress that they have made in a very short time. And if this isn’t inspiring, I don’t know what is! My full-time business doesn’t allow me to practice pole dance as much as I want to, so every accomplishment they make, it makes me that much happier for them. As if in some way it would be mine. And I’m so happy to see that people are starting to see pole dance in a real light. I see way too many times how the girls face one of the biggest struggles and this usually relates to how they look and feel about themselves. Pole dance can change this big time and in the best manner possible – I know that, I’ve been there. I want to help girls feel confident right away. From the beginning. So all of our pole clothes are developed with this philosophy. They fit almost any body shape and type, not just the super fit, model-like girls. And the unique graphics I design bring lots of excitement and fun to girls’ pole routine. Many variations and combinations make it easy to express ourselves and stay confident while progressing on our pole journey. When we feel well-supported and well-presented, these feelings will shine through and be noticed by those around us. I strongly believe in two things. That what goes around, comes around. And that the relationships are the salt of our lives. I try to implement both of these principles in relationships with my partners I work with and with my customers. Being fair, honest and helpful brings so much positive energy and that makes practically any work pure pleasure and even the toughest obstacle becomes “just a part of the journey”. I love working with and for the pole community! Our brand ambassadors are incredibly supportive and so inspiring! I’m honored and lucky to have them aboard. 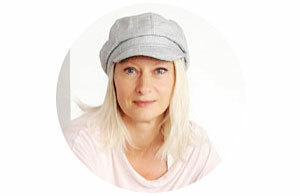 One of them is also unbelievable and lovely Leslie Lili, our French ambassador! And not only them, the whole pole community is awesome and supportive! That’s why I’m very grateful to be a part of it and the least I can do is to be supportive too. That’s why we’re trying to do everything we can to give the best support to our customers. Tell us a bit about your new collection? “Fun, sassy and trendy” that’s how I would describe this collection. I tried to make it diverse and colorful, so that – even though pole wear are tiny bits of clothes – they would still make a statement. And that is how they were born: Unicorn, Kiss, Lace, Jeans, Meow, just to name a few. And the best thing is that we can mix and match most of them and get loads of set combinations. And all of us girls, we know how much we love to do that! Plus we can pair any piece with some of the basic one-colored pole pieces that we all already have in our pole bags. I designed colored graphics as well as black and white to suit most of the moods we girls find ourselves in. To spice up the collection we also offer some interesting accessories that are just perfect for photoshootings, performance or just for the fun in pole studios – knee pads, skirts, leg wraps, body harnesses, leg warmers. I am constantly searching for and creating new products or playing with fun graphics and I’m very open to suggestions. If you had to choose a single model, which would it be and why? Hmm… that’s a tough one! …well, if I must choose one, I would choose the top called “Cupid”. And yes, it’s true, we do name all of our models by pole move names! [laughts] Anyhow, Cupid is really something! It’s the top that suits 99.9% of all girls, no matter what their breast shape or size is and it supports you perfectly during the workout. You can have small or big ones – this top covers all that has to be covered, yet it shows enough cleavage to feel attractive. I also made a special size for girls who have bigger breasts but a smaller chest (just like me) and it’s called M1 size. The M1 has also 4 crisscrossed straps in the back which give perfect support and make very nice feminine detail. In addition to that, Cupid top has a variety of different graphics to suit you. 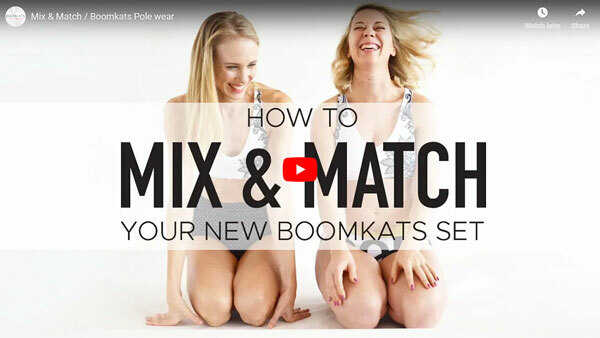 So no matter how you may feel… instead of succumbing to a bad day (if you’re having one), go to your pole class, wear a nice piece of Boomkats pole wear and turn that day into a positive experience! Welcome to Boomkats pole blog where I help you find inspiration on your pole journey. Plus help you get pole clothes to match your pole personality. Not sure where to start? Check out our Lookbook! Sign up for Pole Tutorials and VIP deals! POLE LOVE IN YOUR INBOX!